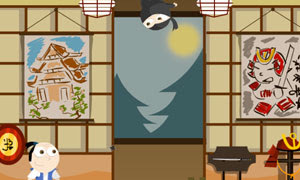 Ahiro The Samurai is another point & click, escape game by bubblebox. Defend the shogun in this epic samurai tale of survival! Ahiro The Samurai is an awesome point and click adventure game! You must explore every part of the environment in order to succeed! Later levels get very challenging! Remember to collect certain items! Good luck and have fun.